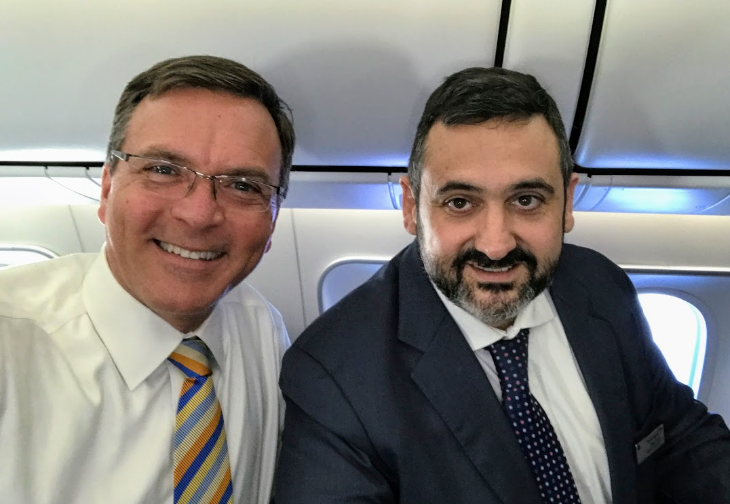 With $490 million in his pocket, British Airways’ CEO Alex Cruz has big plans to snag more business travelers with a massive product upgrade rolling out now. 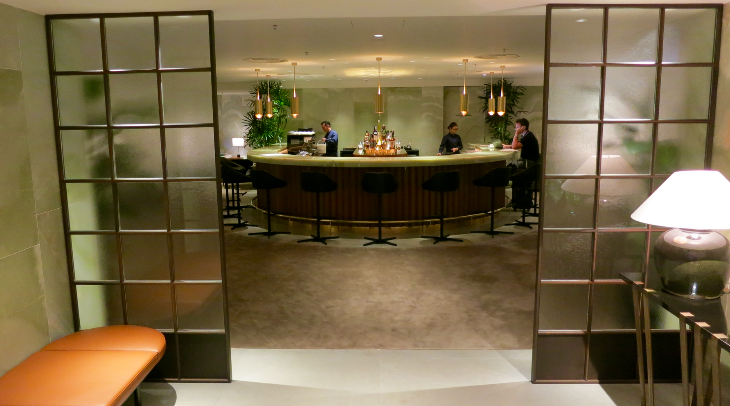 In the morning, we met in BA’s newest lounge at Gatwick Airport. From there we boarded a brand new four-class Dreamliner for lunch and a press conference on a two-hour joyride over the bright green English countryside up to Scotland and back. 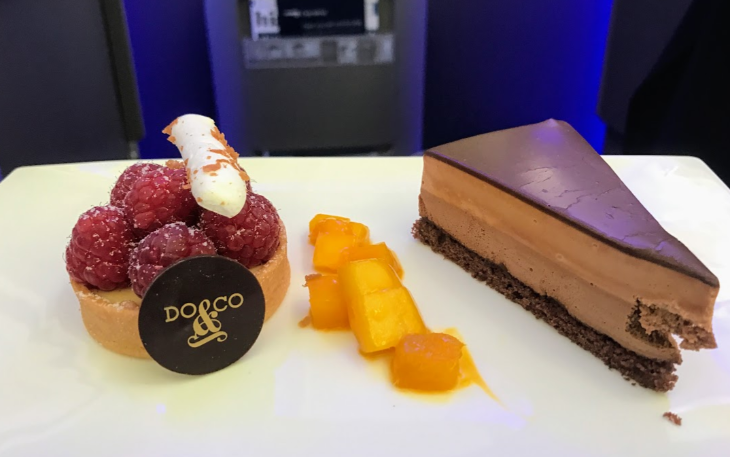 On board, BA offered a sneak-peek of its upgraded inflight food/beverage offerings, and Cruz revealed news about the airline’s new business class seat and its plans for a rapid roll-out of inflight wi-fi, among other juicy details. After that, we landed at Heathrow Airport for a chat in BA’s busy arrivals lounge (with a whopping 78 showers!) and then walked through its exclusive new “First Wing” located in the far right end of Terminal 5. New Planes: We took a ride on a brand new Boeing 787 Dreamliner with four classes of service: First, business, premium economy and economy. The plane was gorgeous and quiet. It now flies to San Jose and Newark from London. But the biggest change in fleet will come when BA gets its new Airbus A350s this summer. These big wide-bodies will soon be the workhorses of BA’s long haul fleet, replacing the carrier’s much-loved but long-in-the-tooth Boeing 747s. Cruz said that with oil at $50 per barrel, there is less incentive to get rid of these gas-guzzlers; but nonetheless, they’ll likely be phased out in the next five years. The last 747s will disappear from U.S. carriers at the end of this year. (See Delta’s 747 Experience here.) It also sounds like BA will be moving to a 10-across economy configuration on its 777s. “A 10-across 777 is an incredibly competitive machine, especially on leisure routes out of Gatwick,” he said. Currently, the 777-200 on OAK-LGW is nine-across. New flights: Last month IAG, which owns British Airways and Iberia, created a new low-fare carrier called Level, which will be based in Barcelona. This summer it will offer cheap non-stops to Oakland and Los Angeles. When Cruz and I discussed this, I told him I thought it was great to get non-stops from the Bay to Barcelona, but that Norwegian was already in that game. I said what we really need in the Bay Area is a non-stop to Italy. His reply? “I think Level will take care of that need very soon.” Stay tuned for more on that! New First Wing: These days nearly everyone is a super elite, business or first class passenger — or so it seems when you enter the so-called “fast” lanes at airport security. The same thing has been happening at British Airways’ big Terminal 5 at Heathrow. 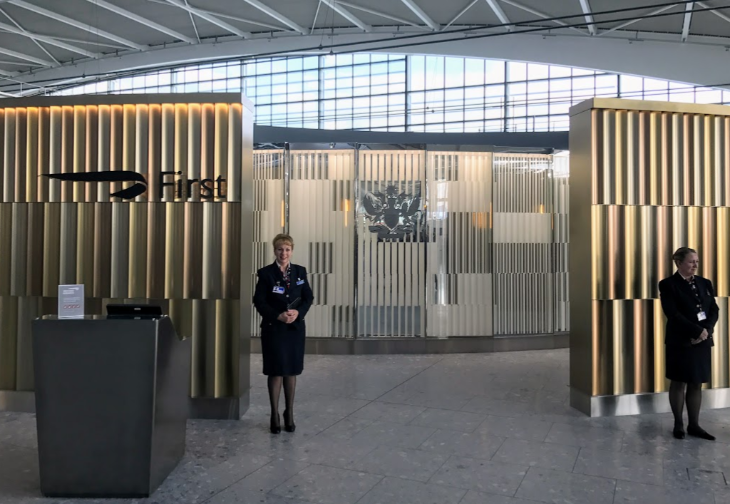 In order to better serve its paid first class passengers, gold-level Executive Club members and Oneworld Emeralds, BA has carved out a new, exclusive lane called the First Wing. After checking in, First and Gold members proceed to an adjacent sleekly designed private security area for screening. (Sorry, no photos: Photography not allowed.) 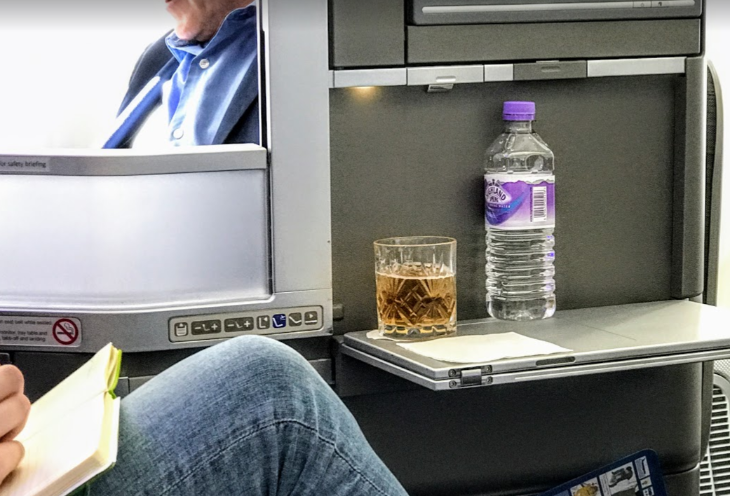 After that, they walk a few hundred feet through a wood-paneled corridor and directly into BA’s first class lounge, where they can relax, eat, work or proceed directly to their flights. Nice touch! An executive told me that about 2,000 passengers per day will use the First Wing. 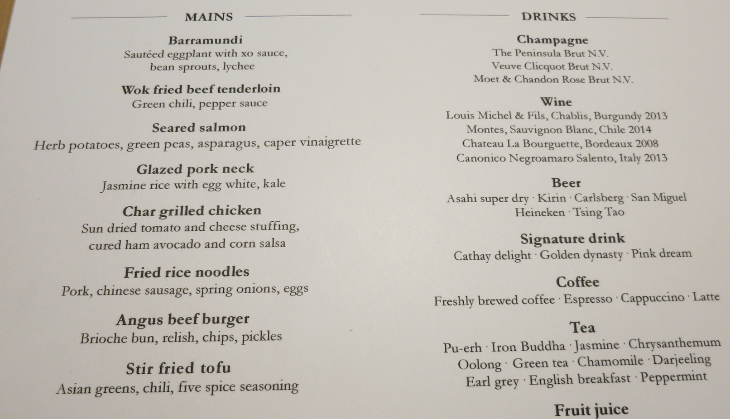 New/Refurbished lounges: BA bragged about its new lounge at Boston, which I’ve not seen. But apparently it’s big, bright and has a horseshoe bar that passengers are raving about—not only for the drinks, but also for the fantastic sunset views through a wall of west-facing windows. Plus it has direct access to the plane. BA’s lounge at New York JFK is slated for a $65 million redo that should be completed in two years. BA’s lounge at SFO has been bursting at the seams since the carrier introduced its A380—there’s simply not enough room to accommodate all the business, first and elite flyers (from BA and partners) at peak times. BA execs told me that the plan is still to add a new mezzanine level, but they could not offer a firm date about when that might occur, or how they will accommodate passengers displaced when construction begins. “We are working with the airport to explore temporary accommodations,” said one. 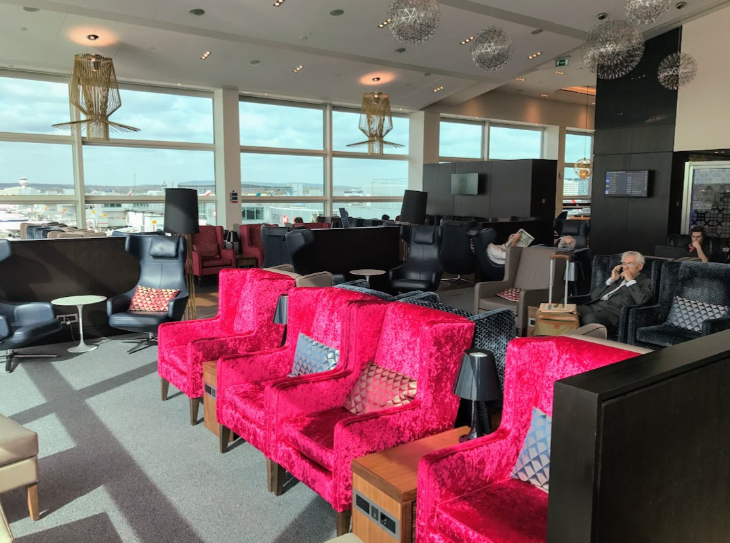 At Heathrow, BA’s massive lounge complex in Terminal 5 is now 10 years old—still nice, but due for a makeover, according to Cruz, although no timetable has been set for the upgrade. New Gatwick Lounge: BA recently moved from the north to the south terminal at London Gatwick and has opened a mod new two-level rooftop lounge with fantastic runway views, modern furnishings (including new pink crushed velvet chairs) and a generous buffet with a very British “Toast” bar (yes, a buffet line consisting of toast only. So Brrritish!). The lounge is 40% larger than the old one in the south terminal, but on the day we were there, it was quite full at around noon. 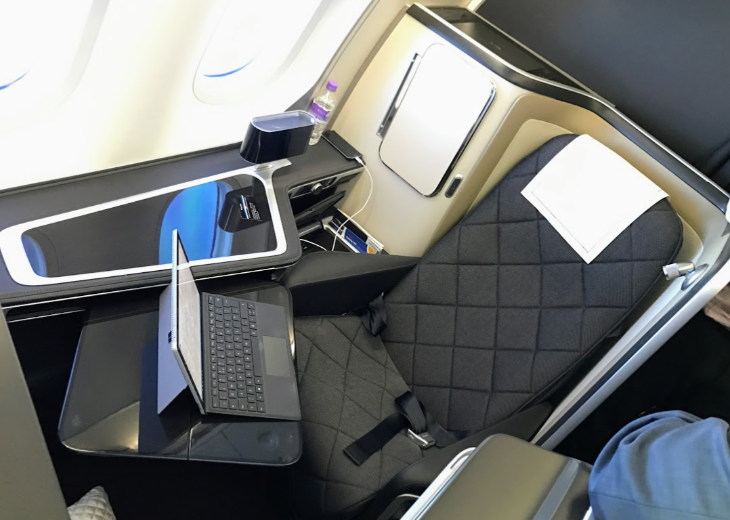 More wi-fi: Believe it or not, BA has only one aircraft outfitted with inflight wi-fi at the moment, but that will soon change. Cruz said that 90% of its short- and long-haul aircraft will get wi-fi in the next two years. He said that long-haul flights will use a satellite-based system and short-haul European flights will use a ground-based one. Similar to what we see at hotels, BA will offer two tiers of wi-fi–basic starting at 5 pounds per hour, and full service for 8 pounds (including streaming). 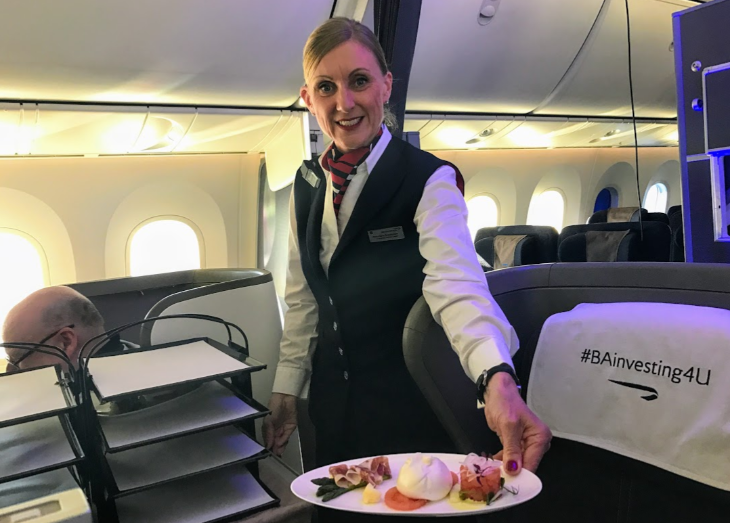 Better food and drink: Cruz said that BA will invest heavily in business class food and drink, which passengers will begin to notice this summer. 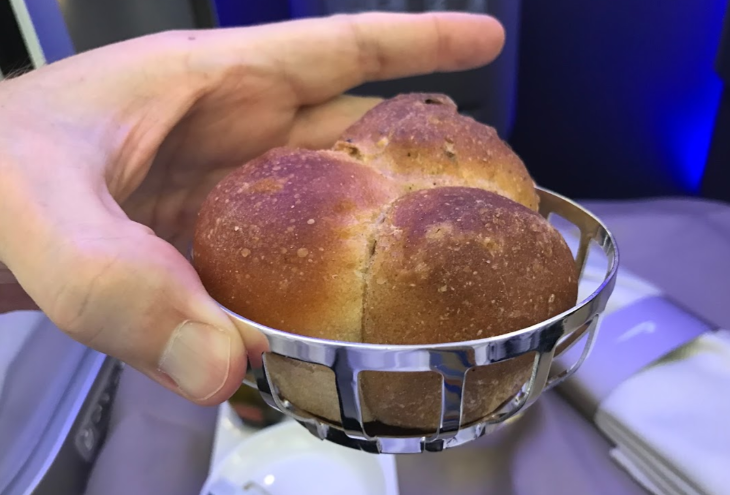 On our flight up to Scotland and back, we were served some of the new food—for example, instead of bread on a plate, you get a warm roll served in a small silver basket. Champagne is served from big bowls of ice. Instead of bulky carts, flight attendants roll starters and dessert options on tiered trolleys– a great show. (Reminds me of how Turkish Airlines does it.) Part of the upgrade includes all-new cups, glasses and cutlery, with larger wine glasses for fuller pours and hefty cut crystal-like tumblers for cocktails. (See photos above.) 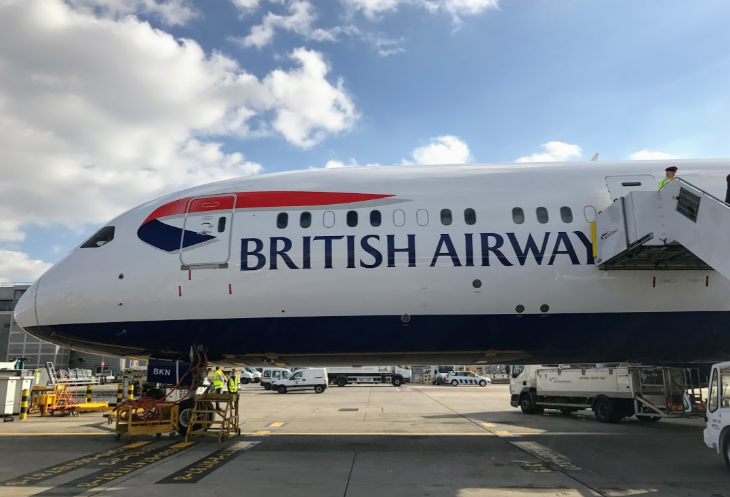 BA’s busy New York-London flights will be the first to see the upgrades as soon as this summer, and it will roll out to other routes later in 2018. 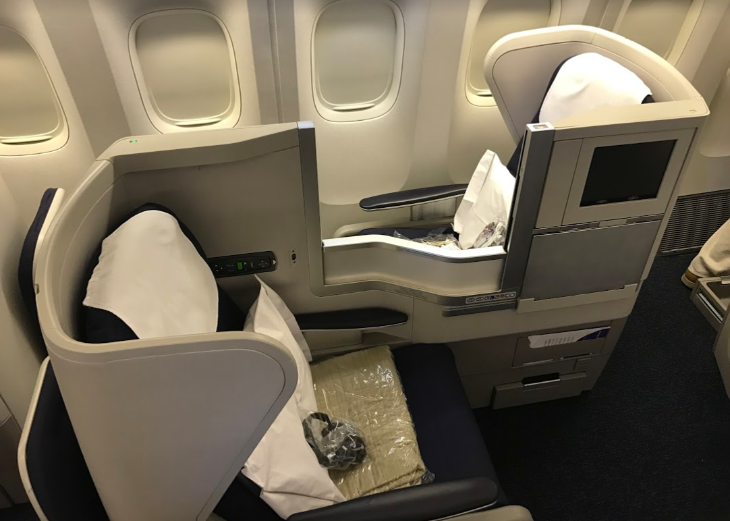 Better sleep: Also on the way: bigger pillows, new mattress toppers, duvets, ear plugs and eye masks as well as revised inflight service schedules designed to maximize good sleep (sounds like United Polaris to me!). Regrettably, none of these features were on our joyride, so no photos. More self-boarding gates: Currently, BA has three automated boarding gates at Heathrow. 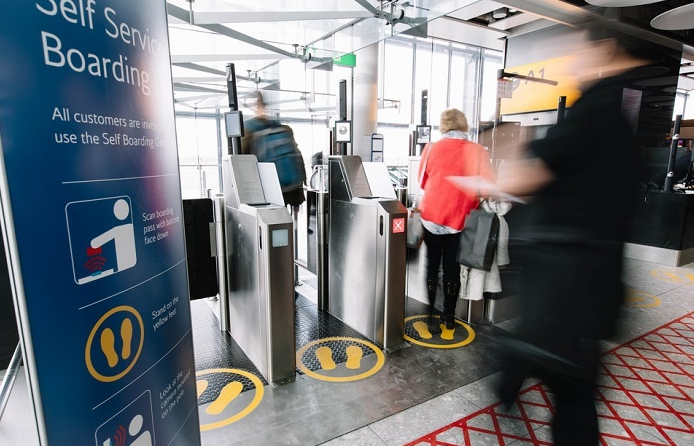 These gates operate turnstile-like entry points activated by facial recognition and the bar code on your boarding pass. (At Heathrow, your photo is taken when you enter security, and is matched with another photo taken when you board. If they don’t match, you don’t board.) Cruz said that based on the success and positive feedback from business travelers, there will soon be more of these. Are you a regular on British Airways? What do you think of the changes? Please leave your comments below. 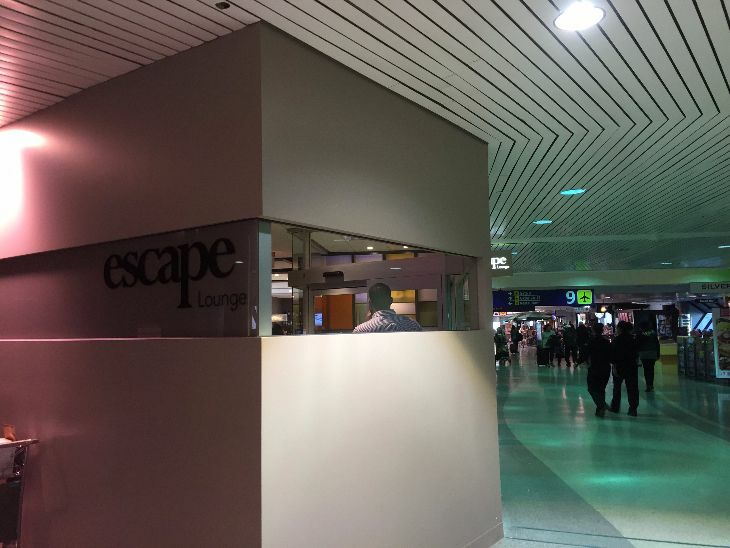 This month, Oakland International Airport opened a new Escape Lounge that’s open to all passengers for a $45 one-time-use fee. It is located in Terminal 1 (all airlines except Southwest, which operates out of Terminal 2) between gates 8 and 8A, across from gate 9. 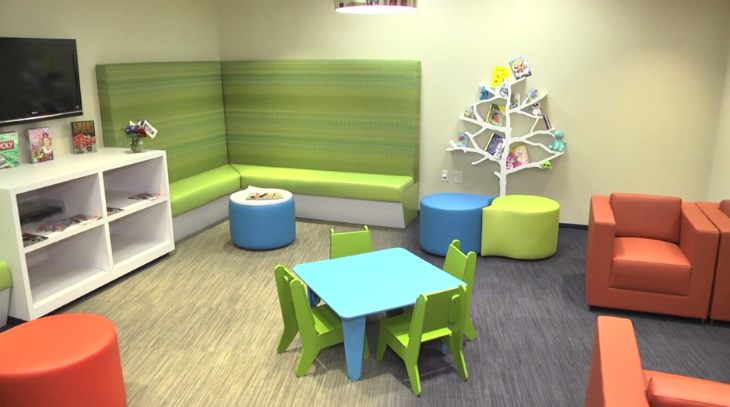 The 2,700-square-foot facility can accommodate 50 travelers, and will have separate zones for relaxing, dining/drinking and work. It’s open daily from 5 a.m. until 11 p.m. The lounge is another of an increasing number of “common use” lounges found at other airports across the country. For example, MAG, the British company that runs Oakland’s lounge, also has outposts at Minneapolis-St Paul International and Bradley International in Hartford, CT. Similarly, there are 10 “The Club” lounges at airports across the US, including The Club at SJC, which which provides free access to business class passengers of international airlines operating there. While the Escape lounge in Minneapolis offers access to holders of Priority Pass, the Oakland Escape lounge does not at this time. 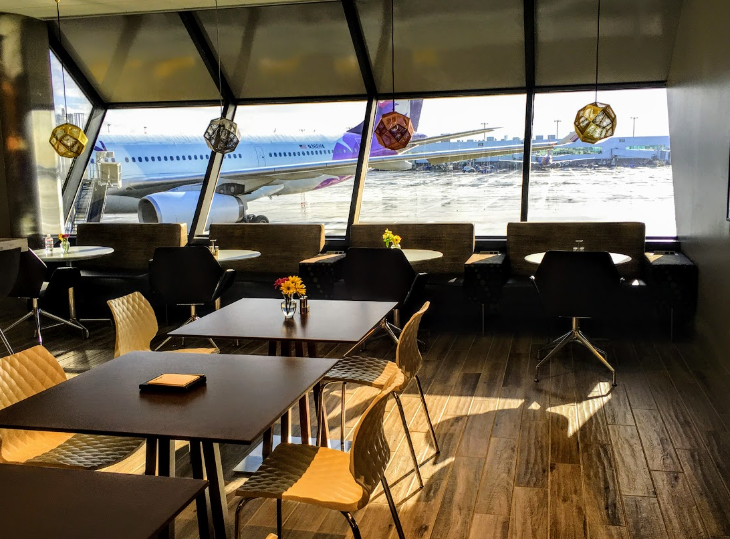 Premium cabin customers of Norwegian Airlines flying non-stop from OAK to London-Gatwick, Oslo, Stockholm, and Barcelona will receive complimentary use of Escape Lounge. 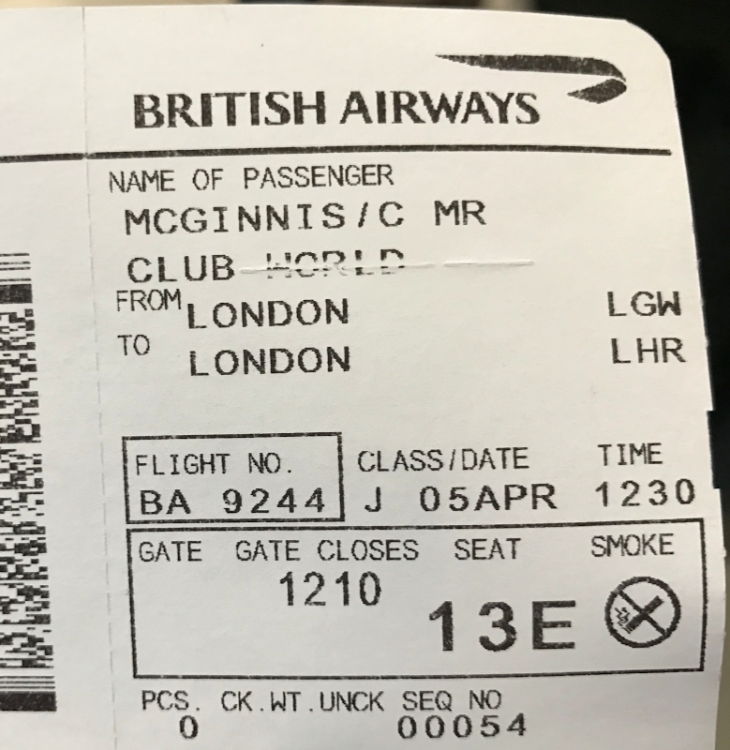 We are still awaiting final word on whether British Airways business class passengers will get comped access to the lounge when its London-Gatwick nonstops arrive at Oakland in April. 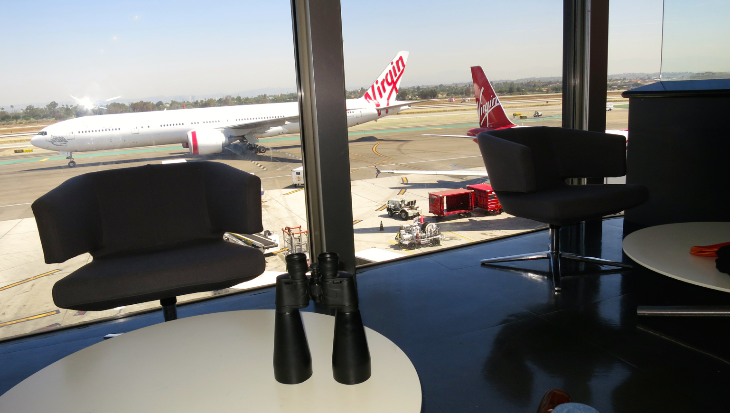 The lounge includes contemporary furniture and great runway and tarmac views. It also boasts, “An extensive complimentary locally inspired menu (see it below); a wide array of unlimited complimentary alcoholic and non-alcoholic beverages, including local coffee brand RoastCo; flight information screens; free high-speed Wi-Fi and reading materials” according to a press release. The bar offers a wide range of complimentary beer, wine and booze plus higher end brands and craft beers for $5-$15. Well-known local Oakland chef Chris Pastena has developed breakfast, lunch and dinner menus. Pastena owns Chop Bar, Lungomare and Calavera in Oakland. 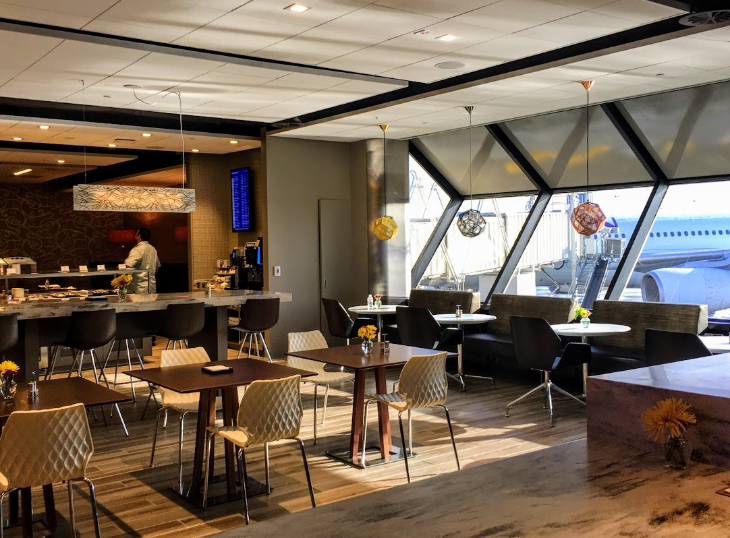 Oakland has been on a roll lately, adding new international flights, offering bennies like free parking, a new all-rail BART link to downtown San Francisco, and now, a new lounge. Have you used Oakland Airport lately? Would you now? Please leave your comments below. The new 25,000-foot space boasts floor-to-ceiling windows offering panoramic views– and when you are up that high, you can get a nice view of the downtown Atlanta skyline. At the bar, you find the standard variety of premium and complimentary options including cocktails, Sweetwater craft beer and Starbucks coffee, freshly brewed or espresso-based drinks from a Swiss coffee maker. 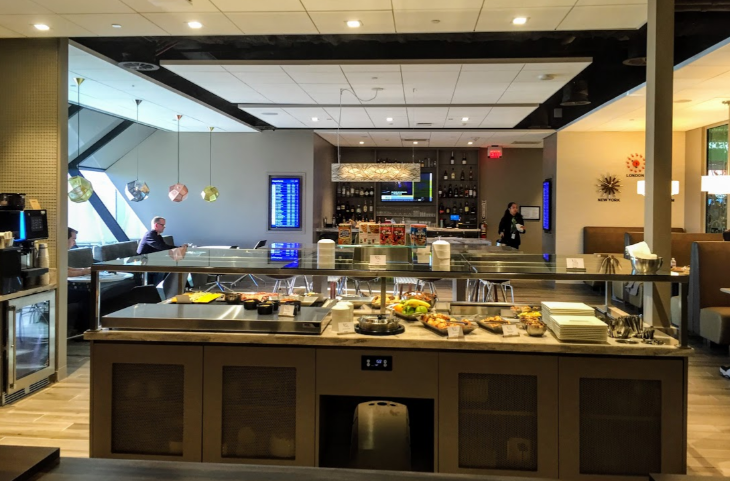 (Similar to what we have seen at Delta’s stellar SFO SkyClub which opened last year– see post and photos here. 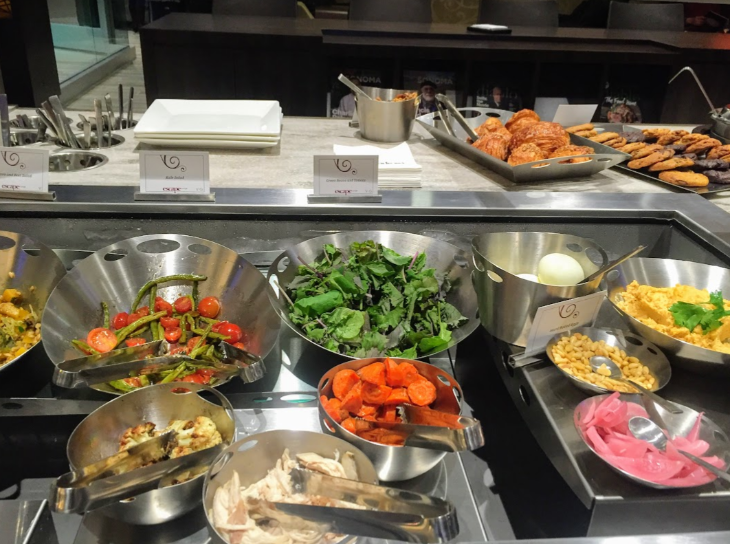 Delta says that the food offerings will include locally inspired soups, salads and breads exclusive to the Atlanta B Delta Sky Club. 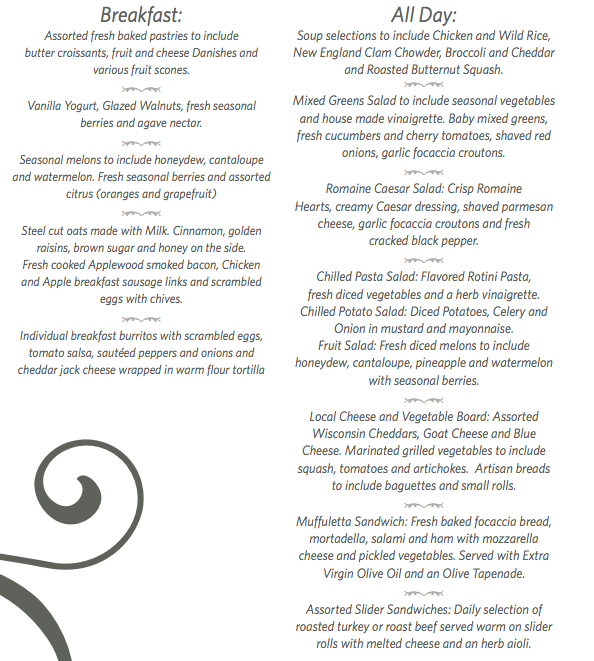 Additional menu items include pasta and rice salads, corn and blueberry muffins, rye rolls and soup toppings, including crispy chickpeas, coconut shavings and croutons. 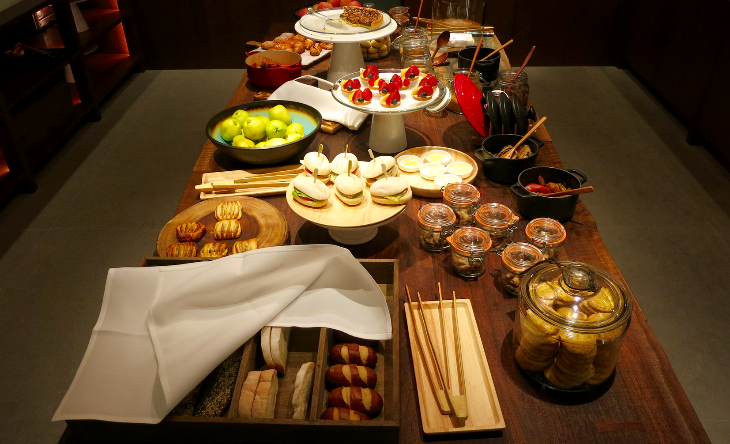 At breakfast, there are locally baked bagels, hard boiled eggs and a yogurt bar with toppings. 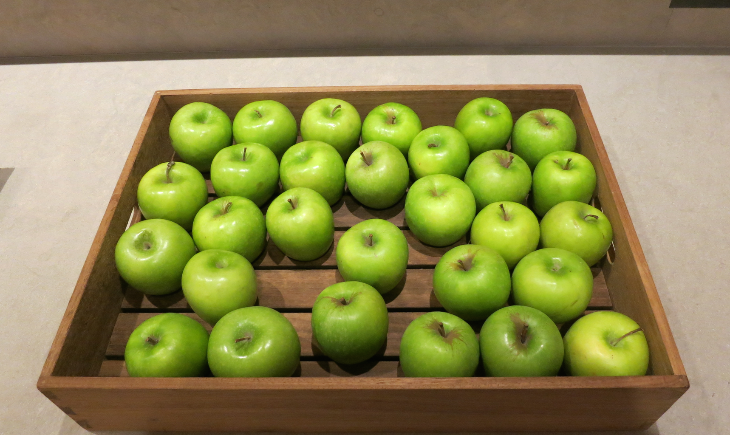 Fruit and snacks are offered throughout the day. 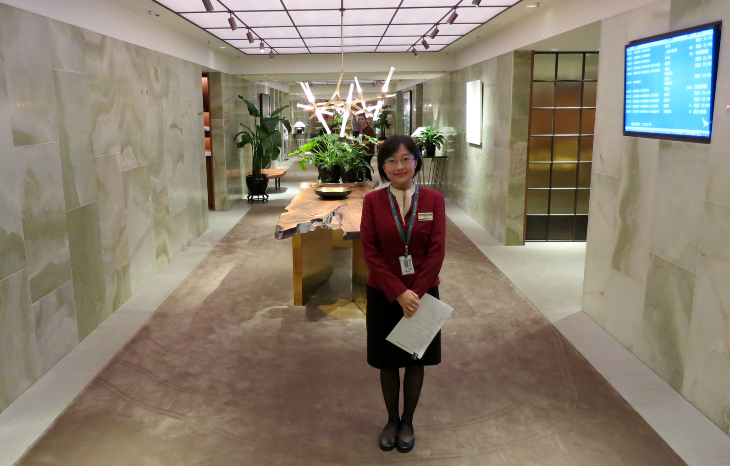 This club is second in size only to New York – JFK’s T4 facility. Located on Concourse B near Gate B18, the new space 500 seats and is expected to be the busiest Club in the entire Delta system. Delta’s two original SkyClubs on Concourse B are now closed. 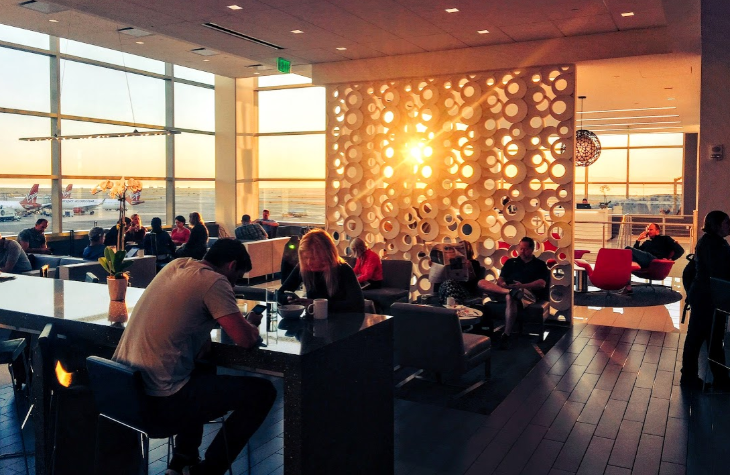 What’s Next for Delta’s SkyClubs? 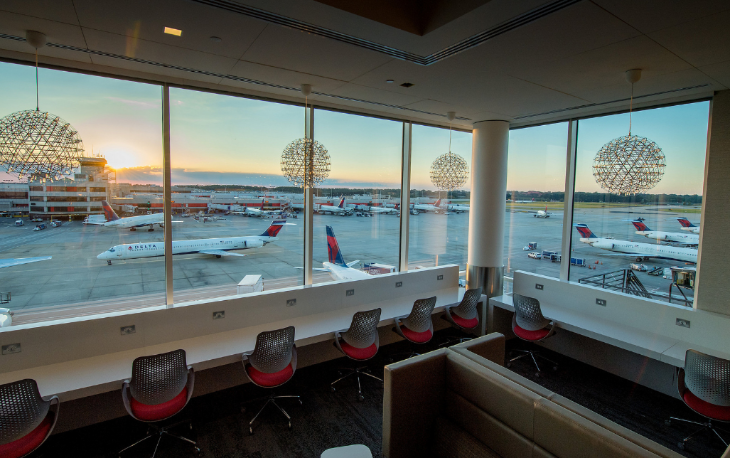 In mid-October, Seattle’s second Delta Sky Club will open between Concourses A and B, offering another option for global travelers. The renovated Club in Raleigh-Durham is set to open in late November 2016, and will offer additional seats, more accessible power and a new food and beverage area. A new Club expansion is coming to Newark in late 2016, including a redesigned bar and more food options. 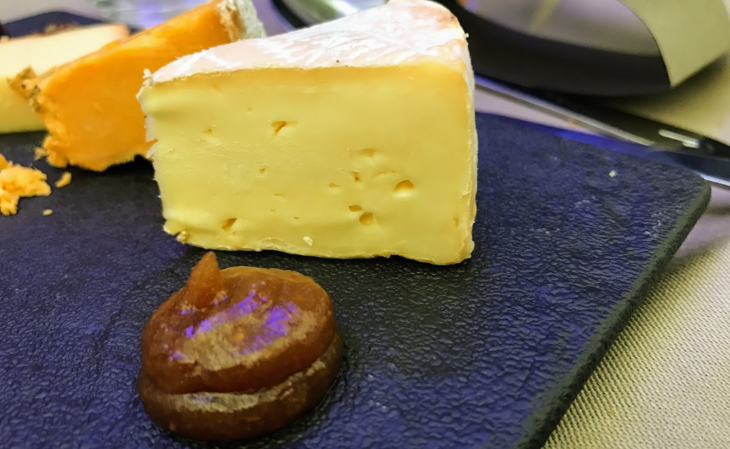 What’s your favorite airline lounge? 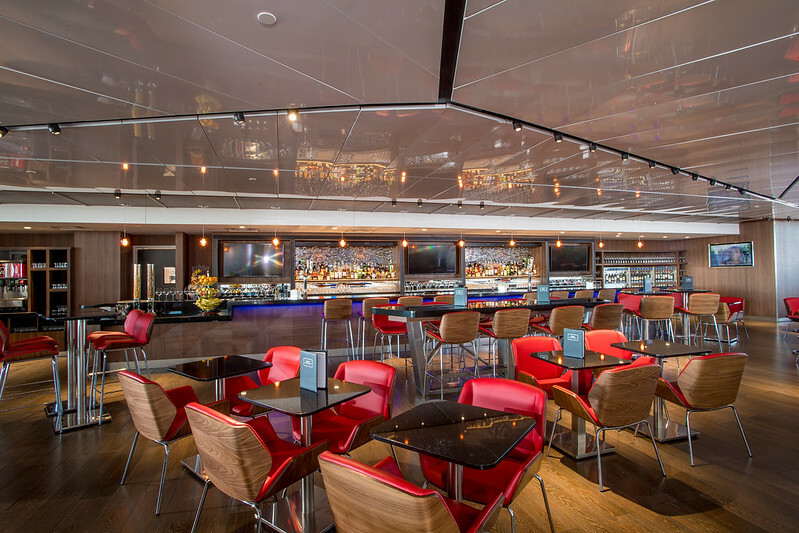 The best Delta SkyClub? Which airline has the BEST clubs overall? Please leave your comments below. 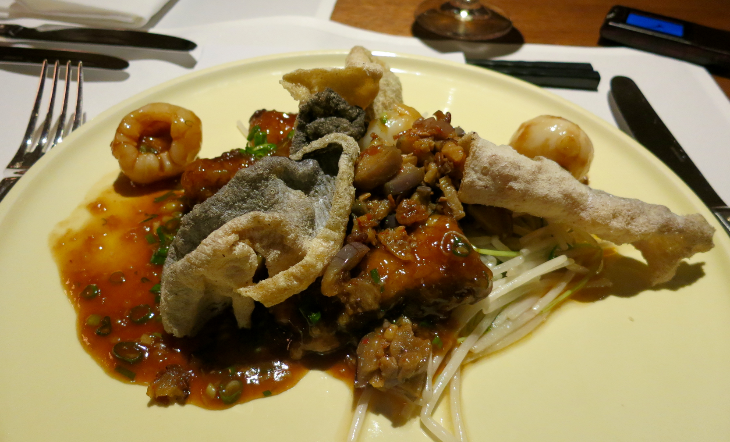 Late last year I was in Hong Kong to check out the city’s most spectacular hotels. 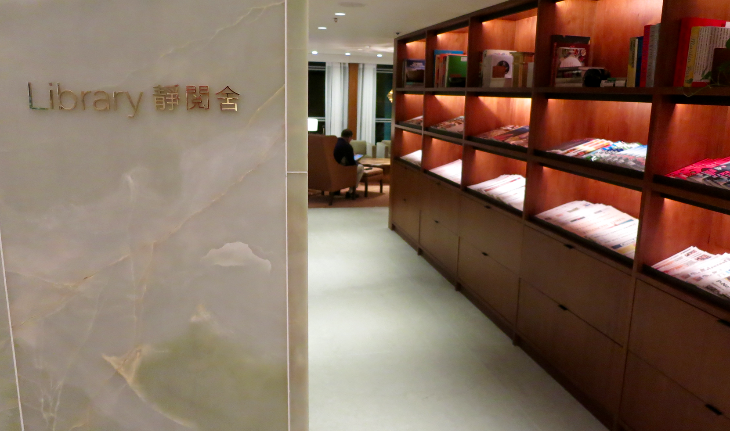 But while there, I stumbled on the most spectacular airport lounge in the world… at least in my world. 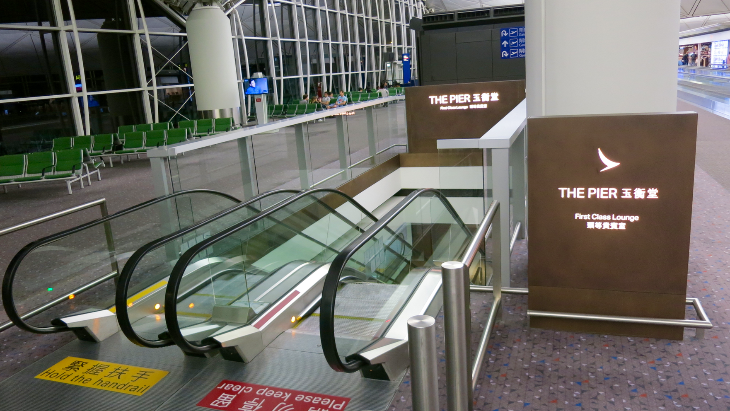 It’s Cathay Pacific’s The Pier First Class Lounge at Hong Kong International Airport, which opened last June. 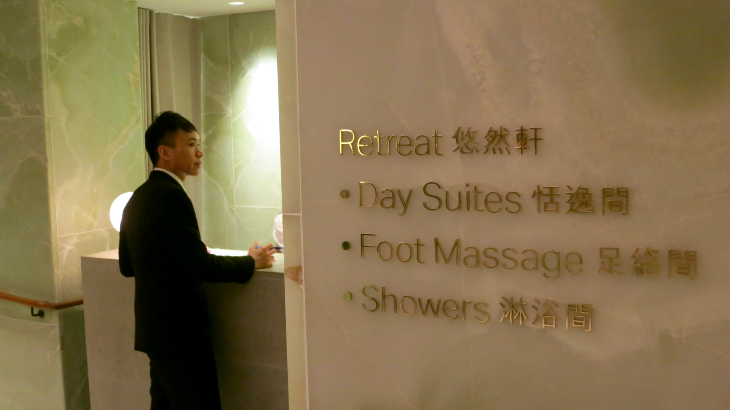 This is one of the few lounges in the world dedicated to first class passengers only–– sorry business class passengers, you have to relax elsewhere. For example, Lufthansa has a spiffy first class lounge in its first class terminal in Frankfurt. 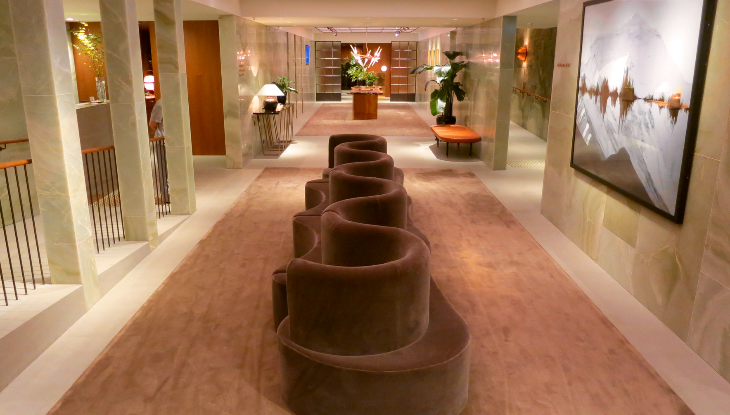 Emirates of course offers an over-the-top first class only lounge in Dubai. QANTAS has a gorgeous, modern one in Sydney. 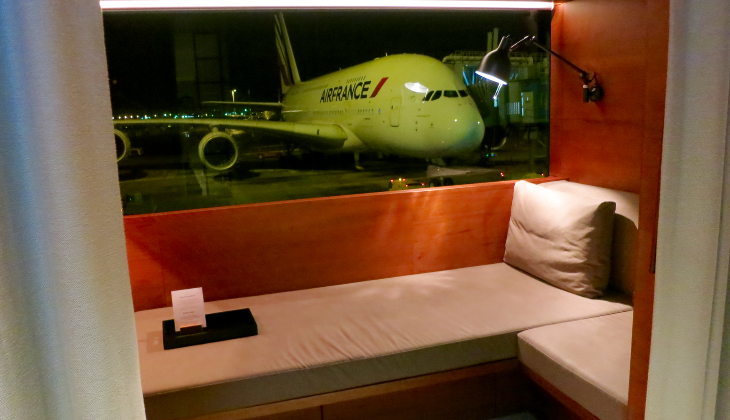 Air France has a super-chic La Premiere lounge at Paris-Charles de Gaulle. There is room for 231 passengers in this warm, contemporary space that is designed to feel like an upscale apartment with various rooms connected by a bright central hallway. 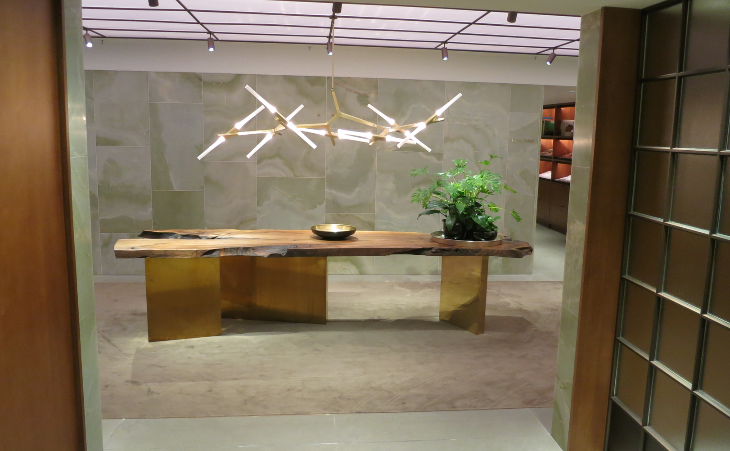 All finishes have a contemporary and warm Asian feel– such as green onyx walls, plenty of walnut, brass and bronze, splashes of color like the green leather banquets in the Dining Room, plus soothing lights and curated art. 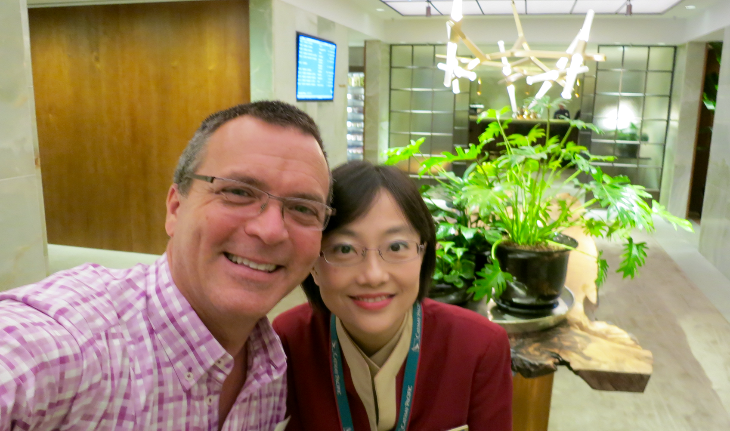 Carol told me that mornings are typically the busiest time in the lounges. I was there late at night, which was pretty quiet. 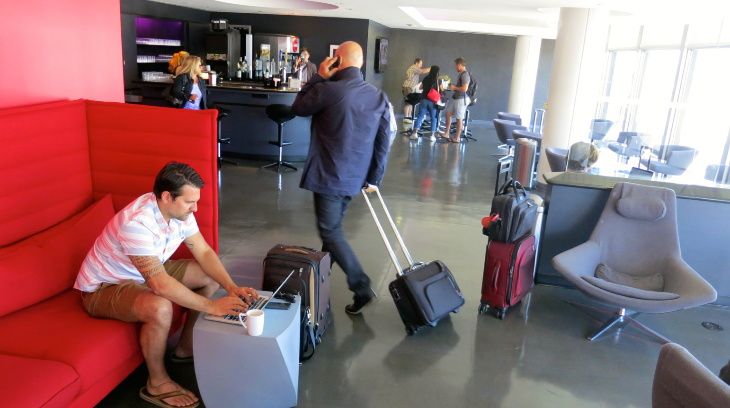 Most of the lounge guests sounded like Australians– likely flying on Oneworld partner QANTAS to Australia. The Pier offers a total of eight day suites, each with a comfortable daybed, a reading light, a mirror and blinds, and heavy curtain for added privacy– each is wrapped in walnut and with a view over the ramp. That’s it for this Trip Report. Hope you enjoyed it. 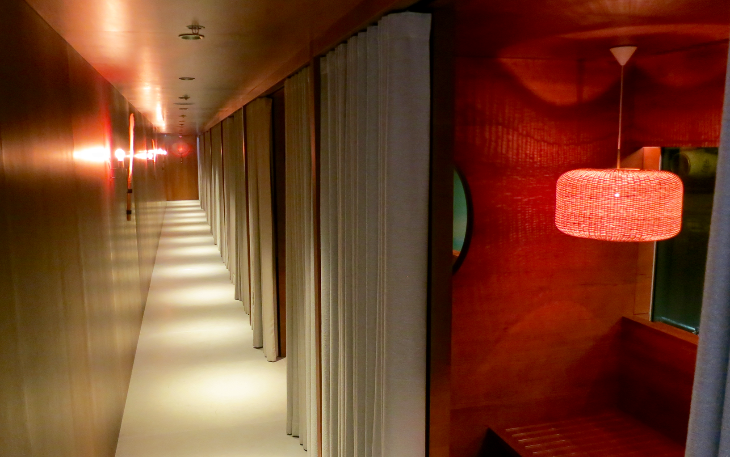 What’s the nicest airport lounge YOU have ever visited? Please leave your comments below. Are you signed up for the TravelSkills.com blog? Why not? Do it right now and don’t miss out. 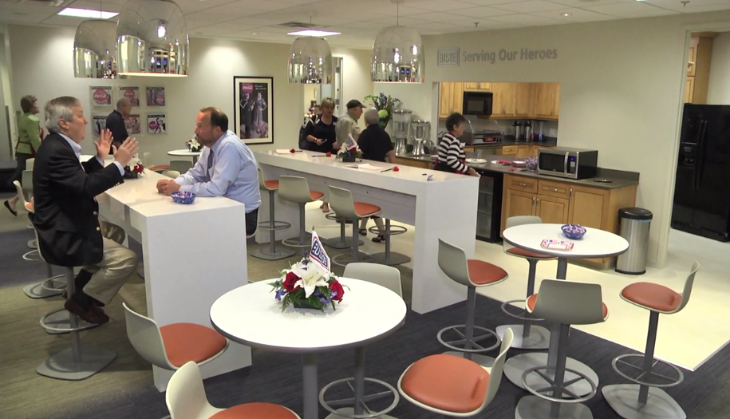 Atlanta’s newly refurbished USO lounge is open to active duty military and their families, only. The 3,200 square foot lounge on the third floor of the main terminal atrium (pre-security) has been in the works for about a year. Anyone who has flown through Terminal 3 at Los Angeles International Airport knows that, despite efforts to gussy it up, it is a hulking relic from the 1960s. To get inside, you must first pass through a TSA screening area wedged in a cramped, low-ceilinged and awkward space (that luckily has a mostly fast-moving PreCheck line). Once inside, there’s a Burger King, a Starbucks, a grab and go bakery and a few Hudson’s news shops. The outpost of LA’s popular Gladstone’s seafood restaurant is nice, but there’s frequently a line to get in, especially when flights are delayed. Terminal 3 is the LAX home of Allegiant, Virgin America, Frontier, JetBlue and Spirit Airlines- all low-cost, low-fare carriers that don’t really have the funds for deep terminal renovations like Delta has underway at Terminal 5…or that the major international carriers (and the city) have created at the outstanding new Bradley International terminal. Standing out from the drab dreariness of Terminal 3 is Virgin America’s colorful LAX Loft. 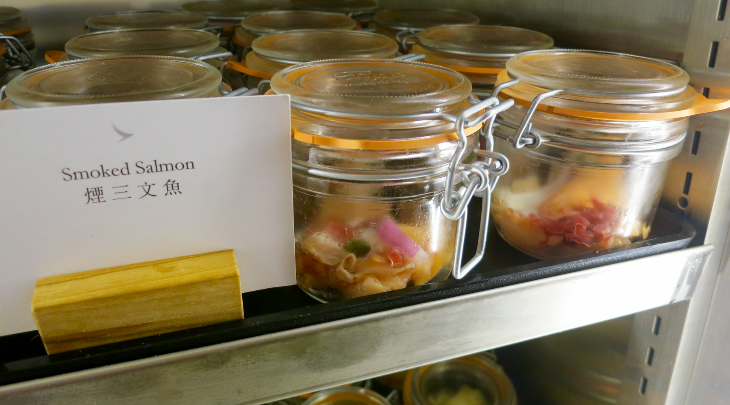 I have known about the Loft for a while– via Virgin’s PR machine, from TravelSkills readers, and from reading the lounge’s mixed reviews in the blogosphere. It’s been open since 2012. Since I’ve had relatively good luck with flight delays at LAX, I have never had reason to decamp from the main terminal, so I’d never seen it in person. When Virgin invited me to check it out during my recent trip to LA, I jumped at the chance. 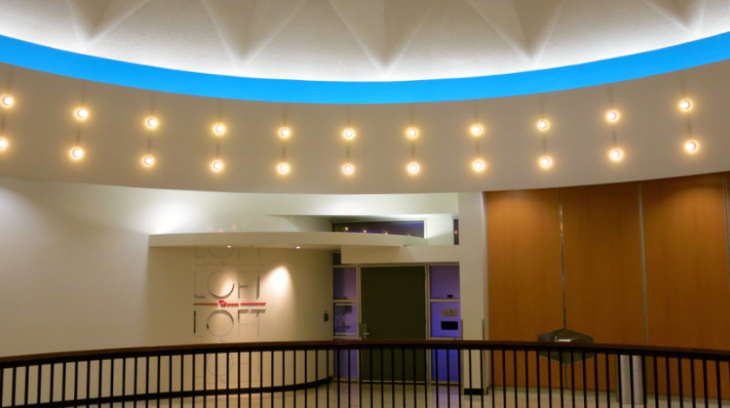 Entry: Anyone traveling on Virgin America or its partner airlines can pay a $40 fee to enter the Loft. Full-fare first class passengers on long haul flights get in free. So do Gold and Silver Elevate members with their annually allotted day passes. Priority Pass or Lounge Club cardholders (plus companions) can also get in without a fee by presenting a valid membership card. It’s located on the upper level of the terminal main gate area, accessible by elevators or a staircase and is open daily from 6am to 11pm. 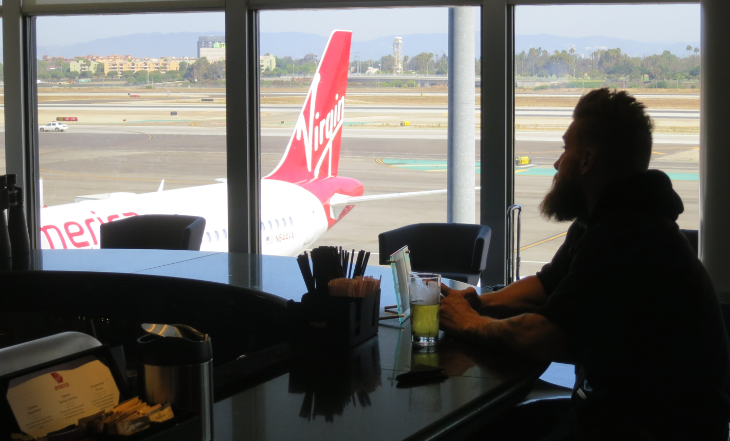 LAX is one of Virgin’s two primary hubs, so there is a steady stream of passengers all day long who might duck into the club. The views: The club’s most outstanding feature? The breathtaking runway views. Plane-spotters can just sit back, relax and watch those colorful tails LAX is known for float by on the runway. Endlessly entertaining! 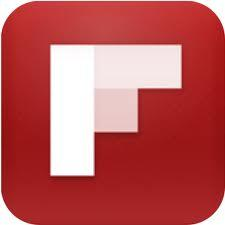 Wi-fi: free, password-protected, very fast and much better than the LAX’s free wi-fi. Plus, in Virgin style, there there are plenty of power plugs all over the place. Design: It’s fun, mood lit and very much in keeping with what you see onboard Virgin America flights- lots of red, white and black. Modern furnishings (like Frank Gehry tables and big red Vitra sofas) float on a glossy gray (recycled material) floor. 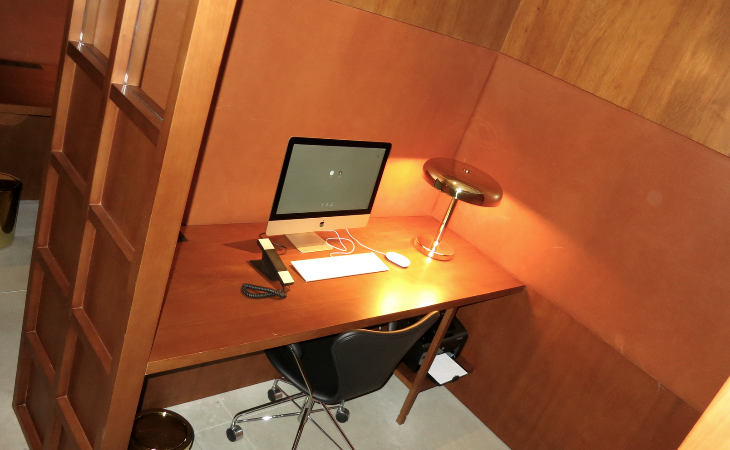 Regrettably, there is scant desk or table space for business travelers planning to get some work done. There’s a lively bar area, several separate seating areas, bathrooms, a marble-topped snack buffet and big views out to runways. There’s even a pair of powerful binoculars to check out what’s happening outside the big floor to ceiling windows. Food: Basic but good. 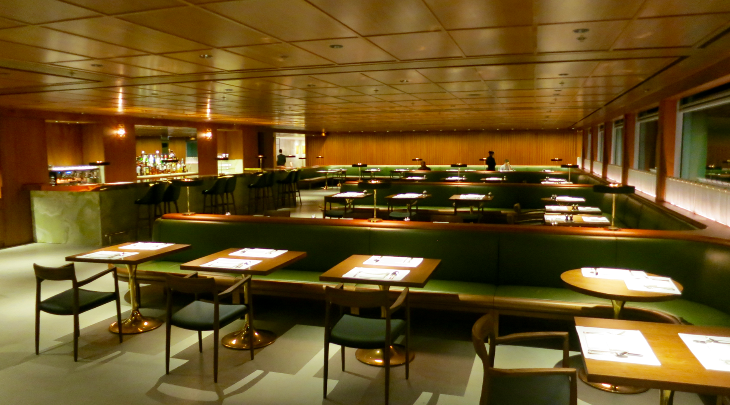 There used to be a more elaborate buffet when Virgin Australia passengers used this lounge. 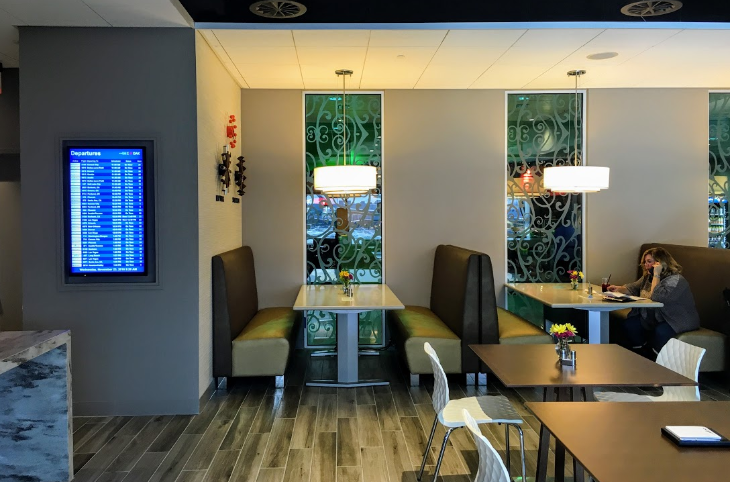 But since that carrier moved into the Bradley International terminal last December, the repast is now on par with what you may find at most domestic US airline lounges- the current Loft menu in the morning includes pastries, bagels, breads, yogurt, fresh fruits, juices, cereal, and an espresso bar. In the afternoon/evenings, there is hot soup, breads, a cheese platter, fresh fruit, cookies and grab-and-go snacks like Krave Jerky and mixed nuts. Cocktails: Complimentary! I noted booze brands such as Glenfiddich, Jack Daniels, Tanqueray Sapphire, Bacardi and Sauza. Plus there are a couple vats of fruited, iced waters and an espresso bar. In addition to the usual beverages you can also order “Lofty Libations” crafted by the bartender that include the Virgintini, Mile-High Margarita and Runway Ruddy Mary. If you were stuck at LAX would you pony up the $40 for a visit? 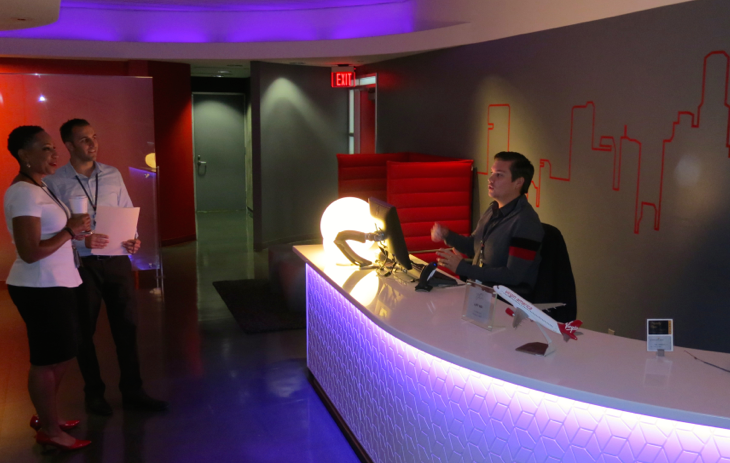 Have you visited Virgin’s LAX Loft? Please leave your comments below. Nail Painting onboard: Illegal or just rude? Should airlines waive change fees? Are you in the market for a new credit card? Looking for a fat points or mileage bonus to sweeten your balance? Then check out our BEST CREDIT CARDS FOR BUSINESS TRAVELERS and scoop up the deals! Please join the 50,000+ people who read TravelSkills every month! Sign up here for one email-per-day updates! The whole country seems to be making a collective groan when it comes to planning summer vacations. United made us all go bug-eyed when it announced that it was raising change fees on nonrefundable tickets to an egregious $200 last month. Our eyes popped even more when American, Delta and US Airways quickly matched the higher fee. Then Frontier Airlines announced that it would begin charging $2 for in-flight beverages (including water) and $100 for gate-checked bags that don’t fit under the seat. While I think that bag fees and change fees are rotten, the airlines love them—last year they collected nearly $6 billion in baggage and change fees alone. Fees, which now comprise nearly 30% of airline revenues, are what’s been keeping them in the black in recent years. But airlines aren’t the only ones playing fee-for-all. By now nearly every frequent traveler has been hit by a surprise “resort fee” or overpriced wi-fi fee at hotels. (Beware of those evil “per device” vs per room wi-fi fees, especially when traveling with others!) Rental car companies pile on all kinds of extra “concession” fees or hit us with obnoxiously high per-gallon fees when we don’t have time to fill up the car on the way back to the airport. But all fees aren’t bad. As a matter of fact, I’m happy to pay fees that can truly improve my travel experience. >Roomier seats. Elite level members of airline frequent flyer programs get free access to “premium economy” seats near the front of the cabin and by exit rows. However, non-elite travelers can pay a fee for access to these seats. Airlines determine such fees by the length of the flight and demand, and can range from $10 to $100. But on a long flight, a few extra inches can provide enough space to open up a laptop and be productive inflight. It can also make a big difference in comfort if you are tall like me, so it’s a fee I’ll pay when I have to. >Early boarding. One of the most cherished benefits of elite status with airlines is the ability to board first and lay claim to overhead bin space. However, I spread my airline business around, and I’m not elite on every carrier I fly. So, for example, I’m happy to pay Southwest a $12.50 “Early Bird” fee to get me near the front of the boarding line—especially in the heat of the summer when planes are packed and overhead bin space scarce. >Inflight wi-fi. When inflight wi-fi from Gogo or Row 44 works well (which seems increasingly rare), it’s definitely worth the fee to me, especially on transcontinental flights. We are lucky in Atlanta with both Delta and AirTran at 100% coverage for domestically configured flights. Delta is adding new satellite connections on its international fleet. It helps pass the time, keeps me productive and eliminates arriving at my destination to a full email box. $20 for a good connection on a five-hour flight? Sure. That’s money well spent to me. Tip: To help sooth the sting of high fees, consider this: When you charge these travel related fees on credit cards linked to rewards programs, you are earning points you can use for free trips down the road. For example, with my Chase Sapphire Preferred card, I earn two points per dollar spent on travel (including most fees). Eventually, all those charges will add up to points I can redeem to help cut the high cost of future trips. >Airport Club access. Have you ever been stuck in Chicago, Dallas, or Houston or during the summer thunderstorm season? Hordes of summer vacationers milling around…air conditioning systems straining to keep things cool…then the clouds roll in and gum up the works for hours. That’s the time it’s worth the $50 fee for a day pass to airport lounge. 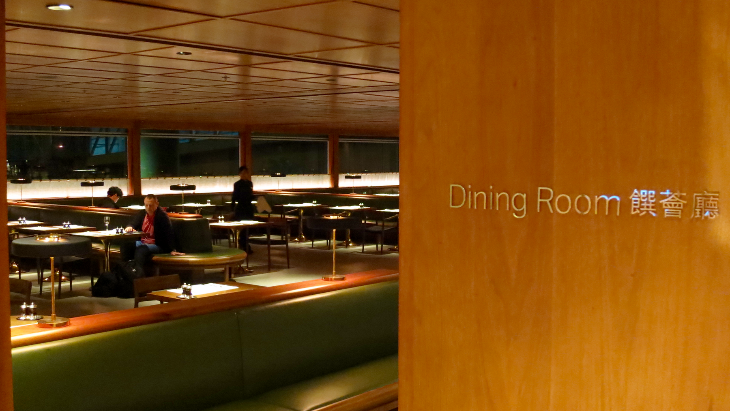 But get there early—once the lounge fills up, it’s open to members only. 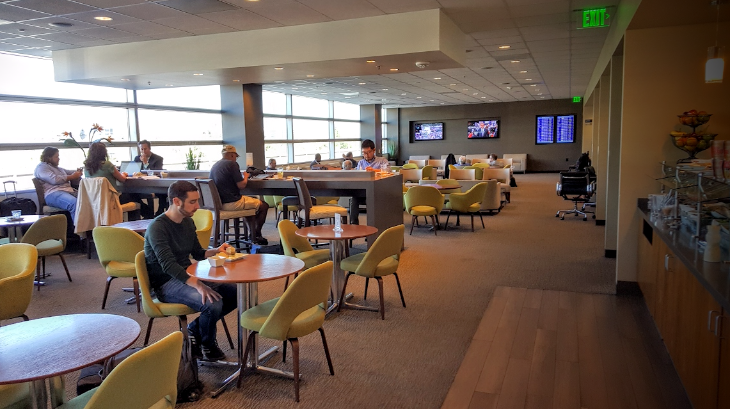 Also, be on the lookout for new non-airline, pay-to-play lounges such as The Club at SJC, Club at LAS (Las Vegas) or others like it– the per use fee is just $35 and definitely worth it during a long layover! >Hotel Club Floor. 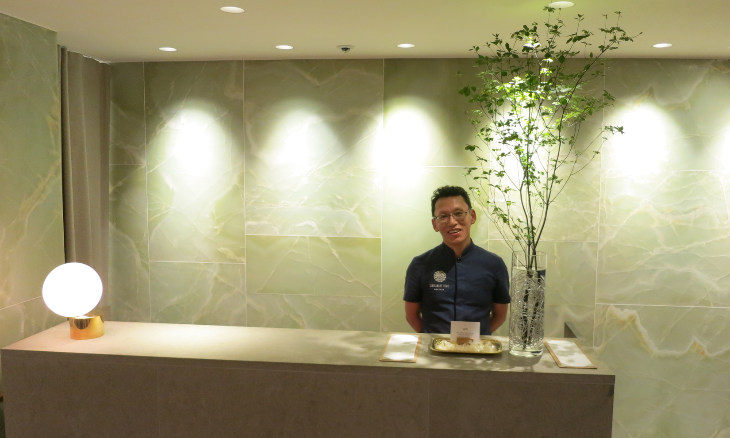 When you know a trip is going to be all business all the time (and you don’t plan to get out much), a hotel club, executive or concierge floor is almost always worth the extra cost. 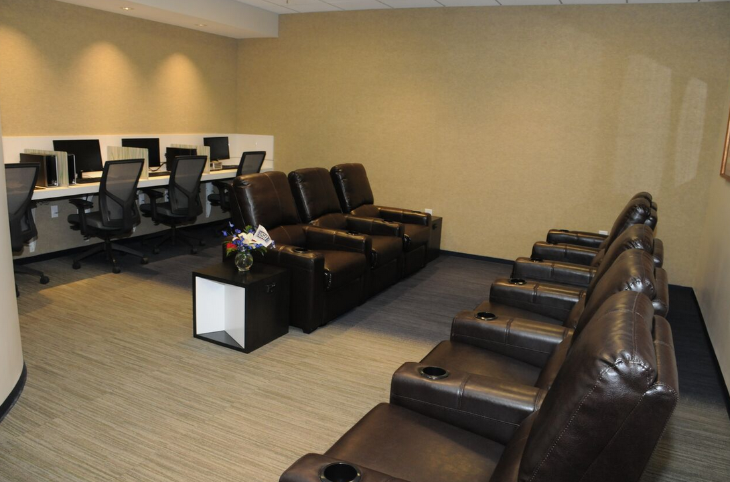 When you pay the premium, you’ll likely get breakfast, snacks, booze (sometimes) and heavy hors d’oeuvres at night, free wi-fi, gym and business center access. Rooms are usually slightly larger and likely to be on upper floors offering better views. 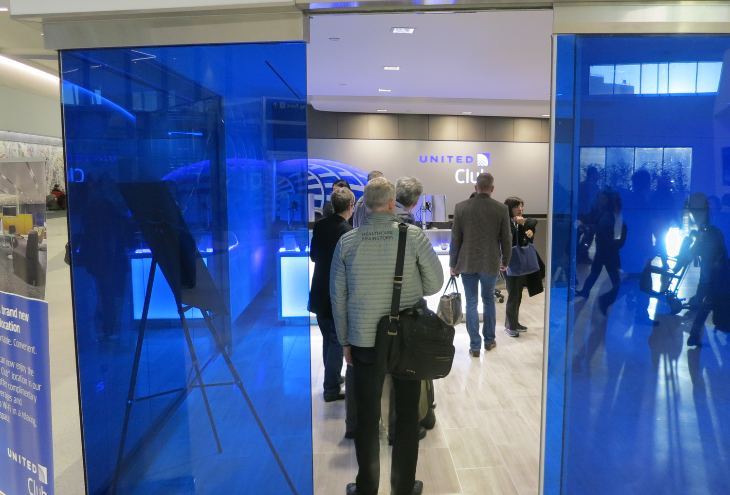 Plus, you can check in and out in the lounge and not have to wait in lines that can form in the hotel lobby. If I’m not planning to get out much, I’m usually happy to pay the premium of 20% or 30%. 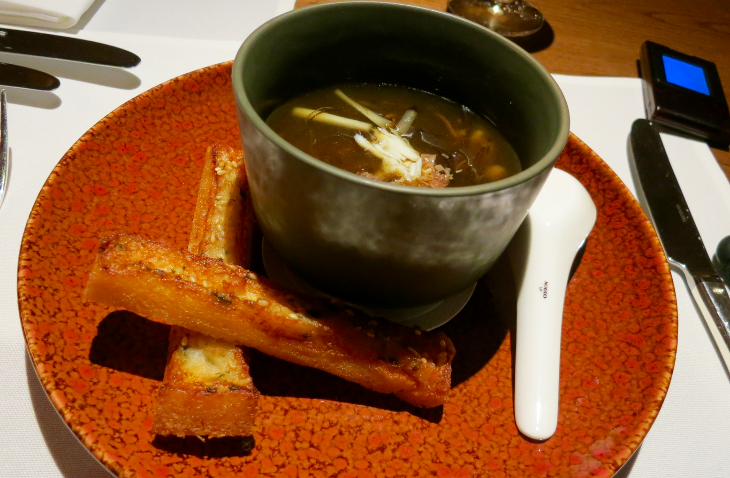 A weekend holed up on the club level at a Ritz-Carlton can be awesome! Do you agree? Which travel fees seem most onerous to you? Which are you happy, even eager to pay? PLEASE leave your comments below. Disclosure: My company, Travel Skills Group, Inc, has a commercial relationship with Chase Card Services, which is mentioned in this post. “The Club at SJC” is located across and upstairs from gate 15 (Terminal A) and is only accessible to those inside airport security. 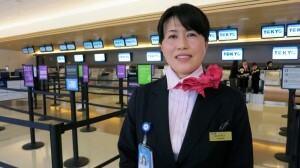 While ANA business class passengers can use the lounge for free, anyone can enter by paying the $35 fee for day use. Priority Pass cardholders (both regular and select) have access, too. The lounge will be busiest during the hour or two prior to ANA’s departure at 11:45 am, but the club is open daily from 5 a.m. until 10 p.m.
Snacks and beverages, including beer, wine and well-brand booze. You pay a premium for call brands like Patron or Grey Goose. The 7,400 square foot club consists of two large rooms separated by the bar/buffet area. The eastern side is for socializing, with a bar, a large communal table and plenty of comfortable seating arranged in conversation nooks. It’s also the bright side,with views east over parking lots toward downtown San Jose. In between the two rooms is the buffet, which will offer mostly cold snacks such as sandwiches, cheeses, vegetable crudités and chips. 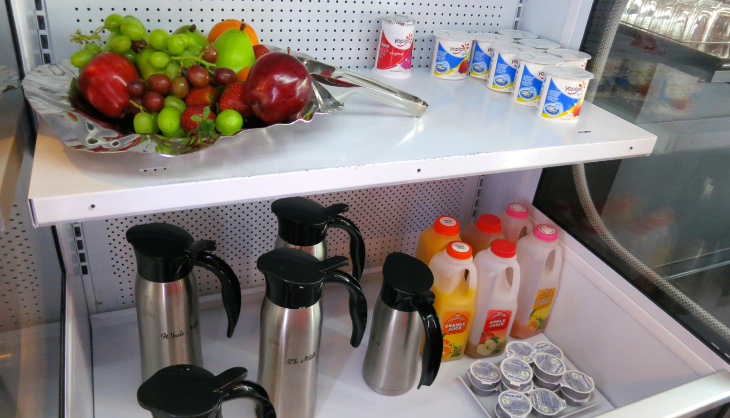 However, the lounge will offer hot breakfast items from 9:30 to 11:30 each morning prior to ANA’s 11:45 a.m. departure. 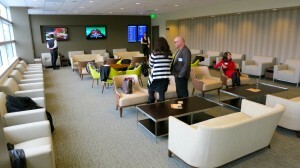 San Jose’s lounge is the fifth “common use” business class airport lounge opened by The Club Airport Lounges. 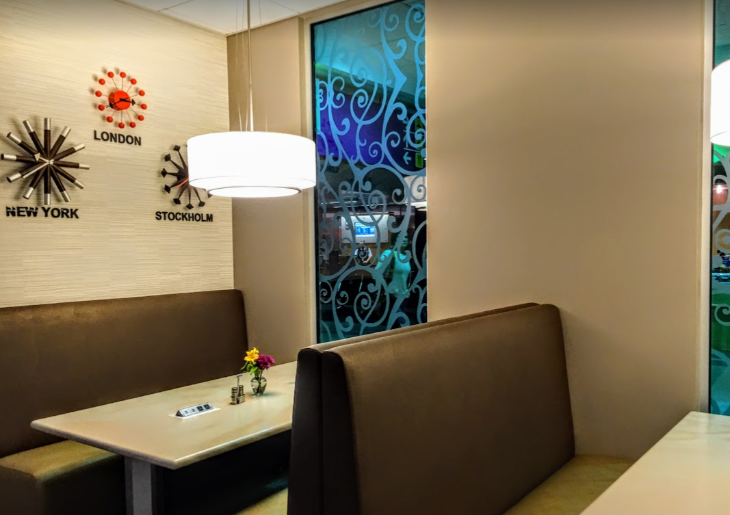 It has recent opened two lounges at McCarran Airport in Las Vegas, one in Dallas Ft Worth, and another at the new terminal at Raleigh-Durham. Do you like what you see? 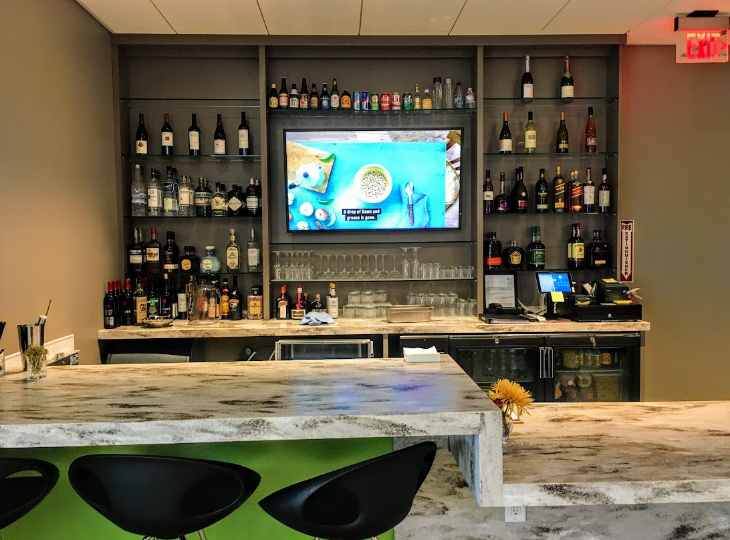 Is an airport lounge enough to get you to give SJC a try? Why or why not? 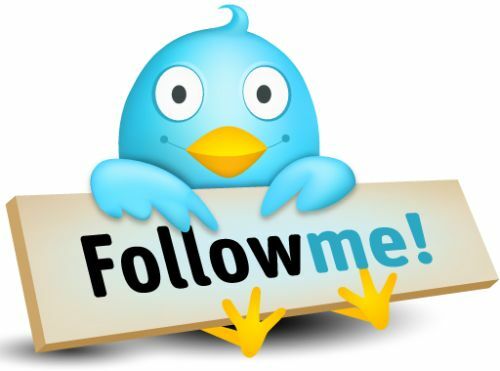 Please take a look at the slideshow above, and leave your comments below.